Congratulations to our very own Brook Pritchett for passing the rigorous Certified Association Executive exam to earn the designation of CAE. The CAE credential, established by the American Society of Association Executives, is the marker of a committed association professional who has demonstrated the wide range of knowledge essential to manage an association in today’s challenging environment. It is the highest certification for association management professionals. CAEs must have five years of association management experience, at least 100 hours of broad-based continuing education over the last five years, and a bachelor’s degree or equivalent professional experience. The four-hour CAE exam is comprised of 200 detailed questions and management scenarios. Brook serves as a communications director for RGI focusing on global clients in the higher education field. 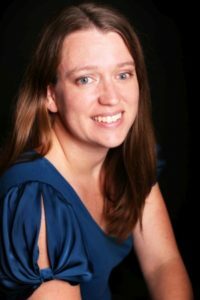 She has worked in association management since 2005 and specializes in developing and implementing integrated marketing and communications strategies to help associations thrive. She joins more than 50 percent of RGI staff who hold the highest designations in their respective fields.